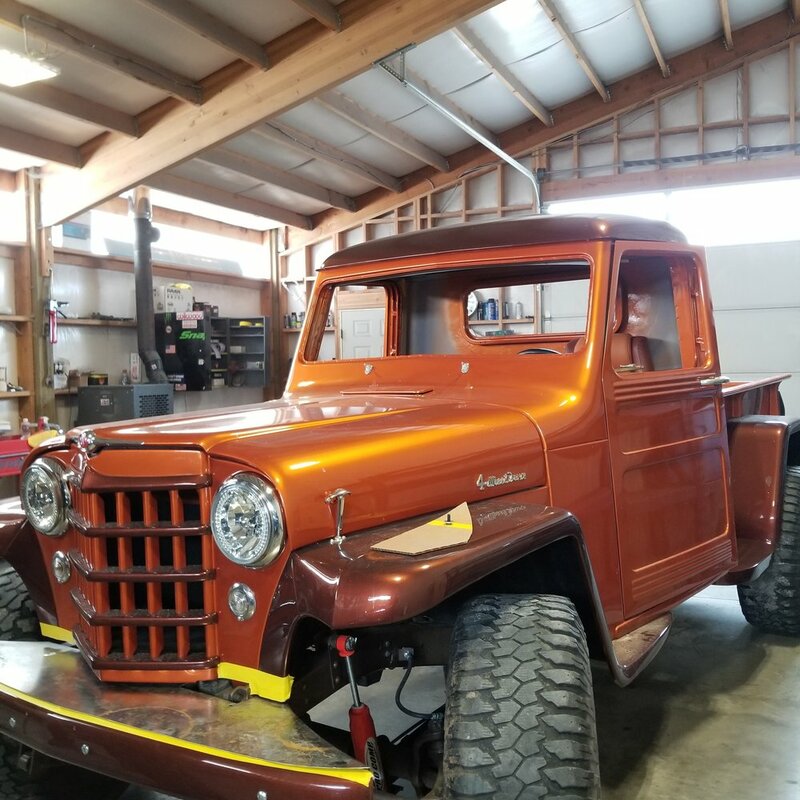 Todd from Oregon had just had his 53 Willys truck painted and it was really important to him that the seats matched the colors of his new truck paint. We got lucky with this one. I took one look at the paint samples he emailed me and I knew exactly the shades he would need. After speaking with him, discussing the style and color direction he wanted to go and sending Todd the swatch samples in the mail, we agreed on a plan. We went with the SC Sport seats in Cognac and Orange with no headrest. We're pretty pleased with the outcome. Todd's truck is a beauty. We're grateful and proud to have been a part of this project.